We are delighted to announce the Official Book Launch of Creating a Lean & Green Business System co-authored by Keivan Zokaei, Hunter Lovins, Andy Wood, Peter Hines. The book launch will take place on Thursday 20th June 2013, 6-8.30pm at The Bridge House, 218 Tower Bridge Road, London SE1 2UP. Things that are good for the planet are also good for business. Numerous studies from the likes of the Economist Intelligence Unit, Harvard, MIT Sloan, and others indicate that organizations that commit to goals of zero waste, zero harmful emissions, and zero use of nonrenewable resources clearly outperform their competition. Like lean thinking, greening your business is not just a ‘nice to have’; at least not anymore. It is now a key economic driver for many forward looking firms. This book is packed with case studies and examples that illustrate how leading firms use lean and green as simultaneous sources of inspiration in various sectors of industry – from automotive and retail to textile and brewing. Take Toyota as an example, the holy grail of economic efficiency for decades. This book, shows that Toyota tops the green chart too, describing Toyota’s notion of Monozukuri: sustainable manufacturing. Creating a Lean and Green Business System: Techniques for Improving Profits and Sustainability offers opportunities for innovation that can simultaneously reduce dependence on natural resources and enhance global prosperity. It explores less understood aspects of lean and green – discussing their evolution independently as well as the opportunities that exist in their integration, highlighting the importance of a cultural shift across the whole company. 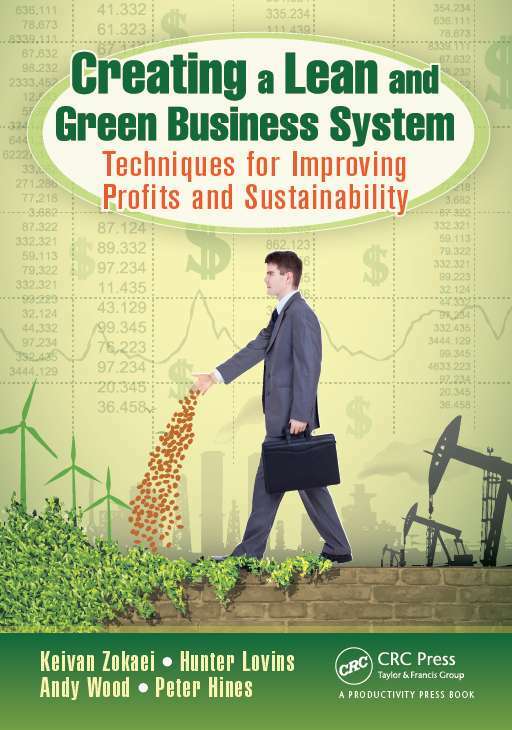 Creating a Lean and Green Business System: Techniques for Improving Profits and Sustainability supplies a new way of thinking that will allow you to boost improvement efforts and create a positively charged work environment – while contributing to the long-term well being of the environment. To find out more information and the book and its authors, visit the Creating a Lean & Green Business System website, or pre-order your copy of the book now from amazon.